This example shows how to sweep through a range of values for an existing exposure from 0 to double the current value and plot the corresponding values. This could be used as one criterion (among others) for assessing portfolio limits. 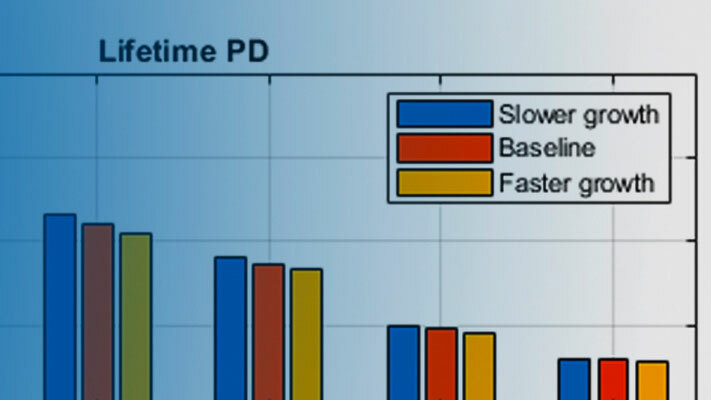 Load credit portfolio data and use exposure at default (EAD) as the portfolio values. Compute current values of concentration indices. Choose an index of interest. For instance, select a loan with maximum exposure. Sweep through a range of multipliers for the selected exposure and get the corresponding concentration measures. 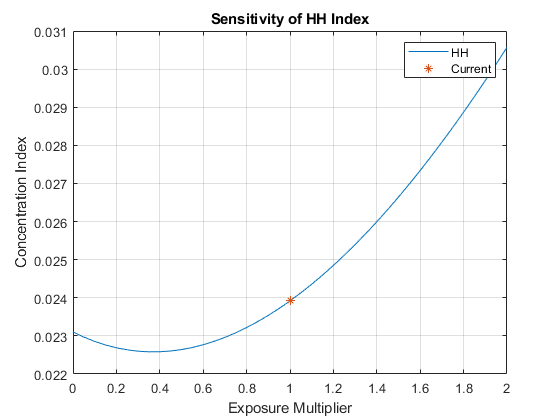 Plot the sensitivity to changes in exposure for a particular index.